Bottleneck Gallery is teaming up with Acme Archives to release three brand new, officially licensed screen prints for Matt Groening's beloved animated television series The Simpsons by the incredibly talented Florey! Each of the prints has a regular edition, which will be sold through Bottleneck Gallery, as well as a variant edition that will be sold exclusively at Dark Ink Art. First up is “Cape Feare”, an episode that features Sideshow Bob escaping from prison to exact his revenge on Bart. 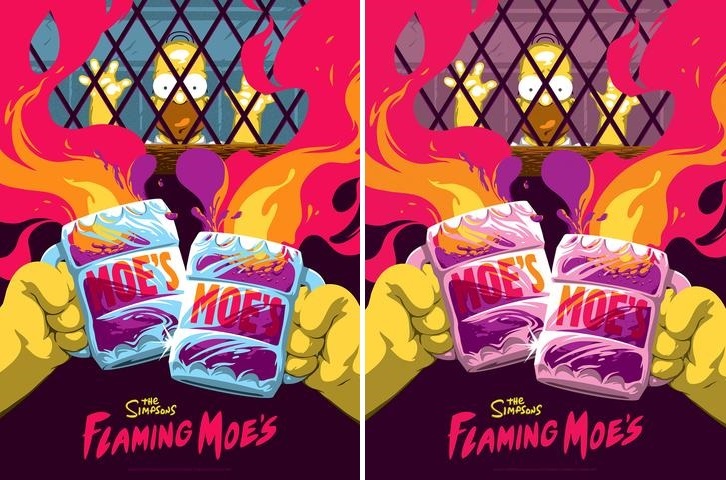 The Blot loves that Florey used “The Thompsons” in the poster’s title treatment which is the name that the Simpsons take when they go into witness protection to hide from Bob. 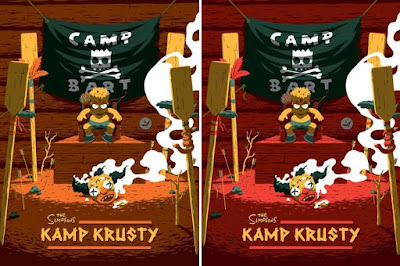 Next is “Kamp Krusty”, where Bart sits as the head of the camper rebellion with the head of a fake Krusty smoldering beneath him. 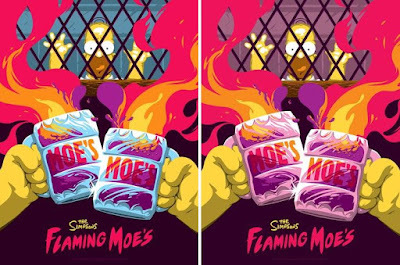 Last but not least is “Flaming Moe’s”! Florey perfectly encapsulates the betrayal Homer feels as Moe takes Homer’s cough-syrup cocktail and serves it up as his own unique invention. 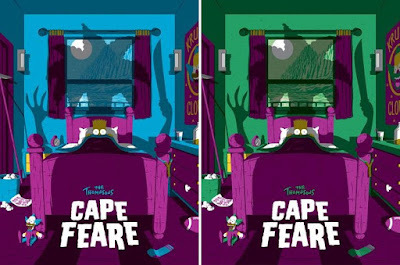 Each The Simpsons regular edition hand numbered screen print measures 18”x24” and is limited to just 200 pieces. All three prints go on sale at noon EST today, Tuesday, January 10th, at the Bottleneck Gallery online store for $40 each or as a three print set with matching numbers for $115. Each Variant Edition will be limited to 50 pieces and retail for $50 each at the Dark Ink Art online store. 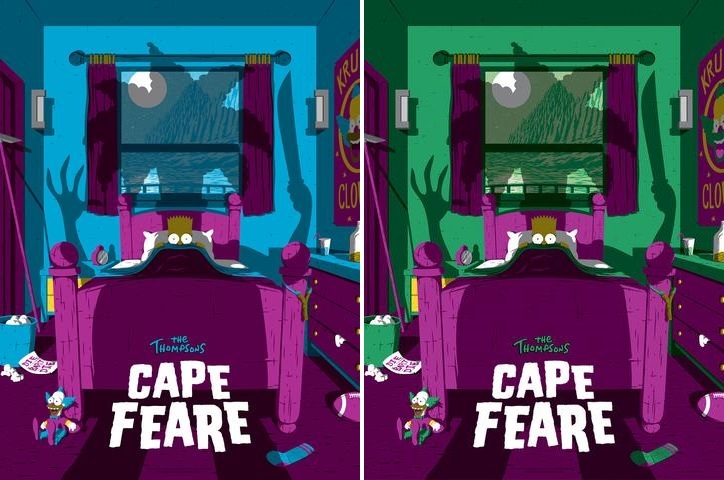 Three print sets of the Variants will also be available with matching numbers for $145.